Maybe it was the Willie G. retirement? Or it could have been a result of Mark Hans Richer (H-D CMO) flexing marketing muscles on the urban scene. It might be that after nearly three years of downsizing, plant closures and restructuring its business, Harley-Davidson is firing on both cylinders and there is a lot less heat buildup due to the “synthetic lube” of Keith Wandell’s (H-D CEO) new break-in procedure? Whatever the case, it has emerged with an improvement in brand value. 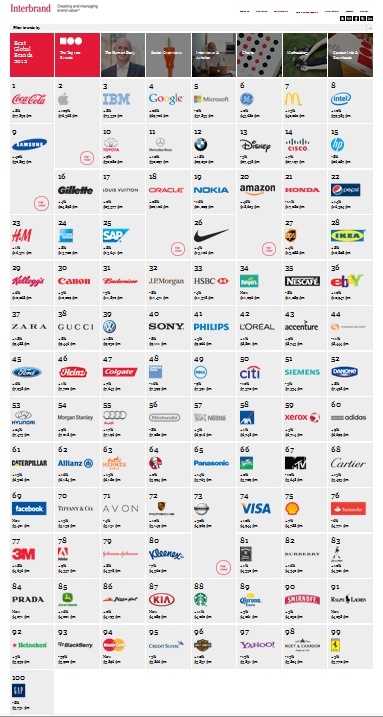 This according to Interbrand who recently released the 2012 Best Global Brands. In 2010, the H-D brand was 100 on the top 100 list. In 2011 it improved to 98th and for this year it again improved its ranking to 96th. How does Interbrand choose which brands it considers best? The research firm uses three factors: 1) the financial performance of the branded product or service; 2) the role the brand plays in influencing consumers; and 3) the strength of the brand in asking a premium price for its products or bringing in earnings for the company. The restructure strategies seems to be paying off with signs of solid performance and consistent growth. Sure there are significant “head winds”… meaning challenging economic times and the motor company knows that it cannot solely rely on baby boomers, and needs to appeal to women, minorities, Gen Y, and Millennials. 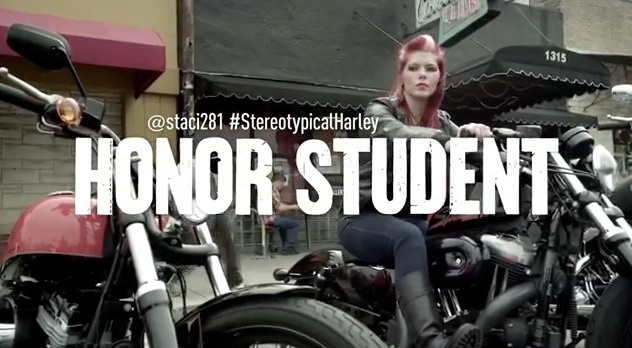 HERE is an example of that new outreach (#stereotypicalharley). Or the remix version HERE. The management at Harley-Davidson want customers to “feel a certain way” when using their products, visiting a dealer, or surfing on the H-D Web site. They know that a brand connects a business with the hearts and minds of consumers. Photo courtesy of Interbrands and H-D.